This one goes way back to at least 1978, so I built it at least 36 years ago, when we lived in the City. 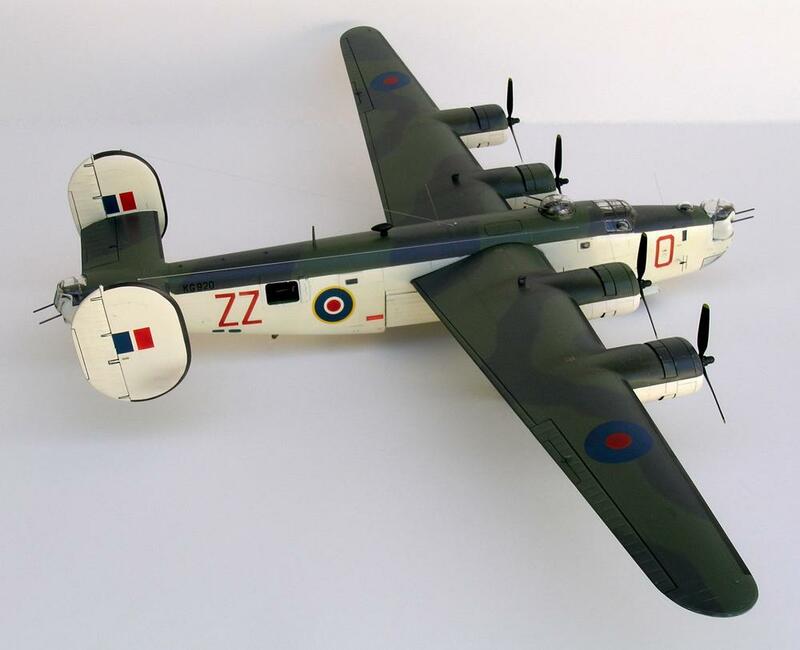 This is from the Monogram 1/48 B-24J kit. 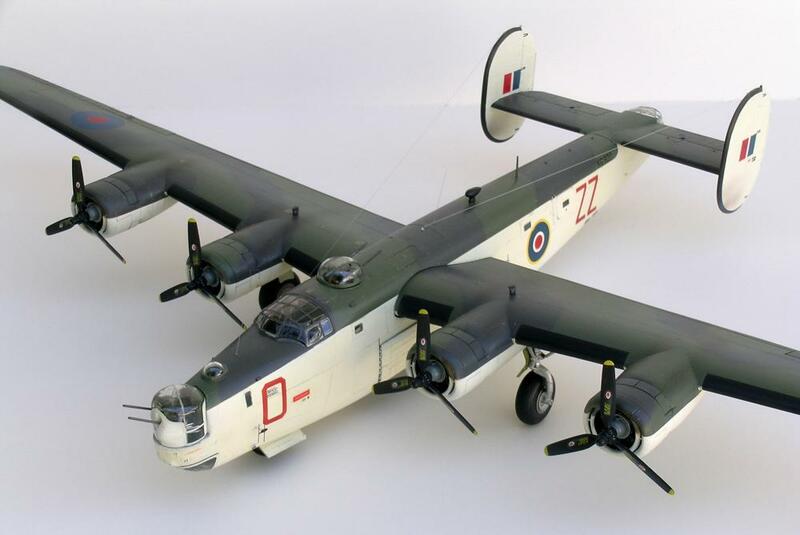 It depicts Consolidated Liberator GR.VI, “O-Orange”, of No. 220 Squadron, RAF Coastal Command, as seen at RAF Lagens (Lajes Field), in the Azores Islands, circa 1944-45. 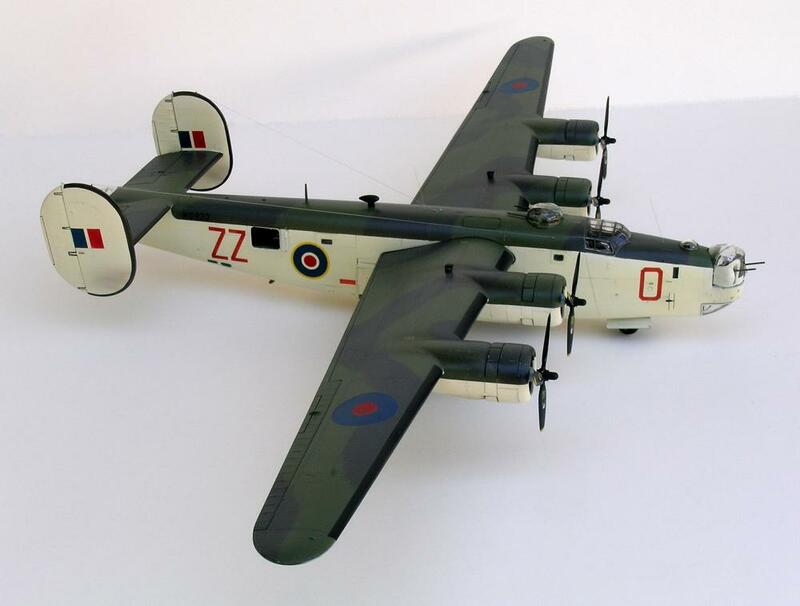 Serial, KG920, is a guess (and it may have been KG918), but this aircraft almost certainly was in a group of B-24J’s acquired by the RAF, with serials from KG821 to KH420. This was back in the days of Pactra enamels for me, so the white is slightly discolored now, though that might actually be fairly accurate after all. The upper surfaces are Dark Slate Gray and Extra Dark Sea Grey. All national markings, and the letter codes in red, were masked and airbrushed, no decals. Used Avery self adhesive labels and a sharp X-acto knife for this as I remember, and a compass knife for the roundels. As with most Monogram kits I make, with raised detail, after painting, I very lightly sanded over everything, to bring out the detail. I scratch built some depth charges, and the bomb bay doors are open so they can be seen (each one has a hand painted 3 digit number). Also did a radome in place of the ventral ball turret. And various aerials and antennas were added. Surely this was one of the more difficult builds I’ve ever tried, and I was almost paranoid about the possibility of breaking it (or something on it) someday. So, shortly after I finished it, I made a custom box of art board, with foam lined supports for the fuselage, and the two wings. The model has survived nearly 40 years, and 4 household moves, so I think that was a good plan. 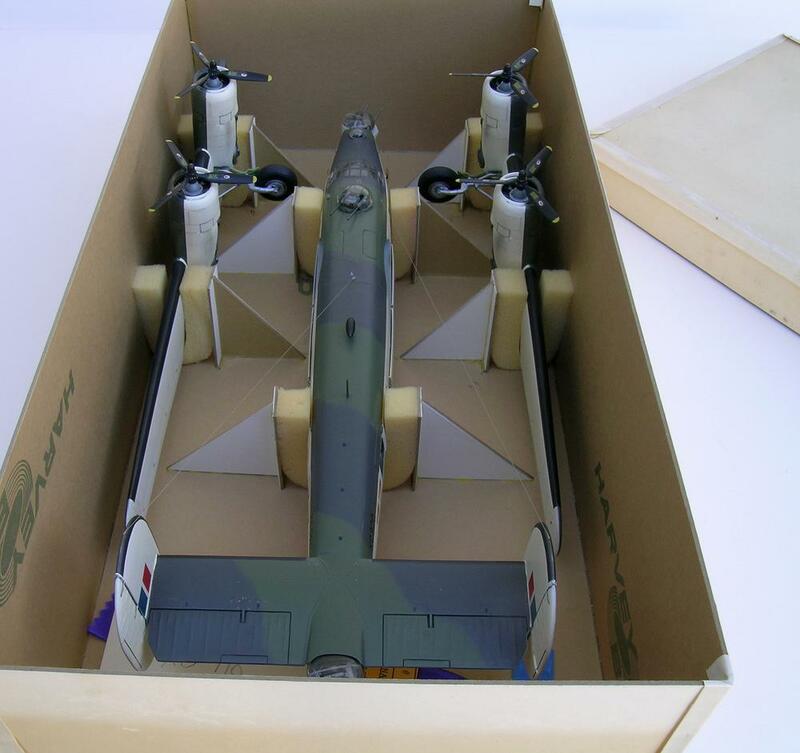 The mountings for the wings were pretty positive, so I didn’t glue them to the fuselage, I made them detachable, the reason I was able to make the special box. The joint is not perfect, but if I had tried to improve it, I would have lost the ability to detach them. 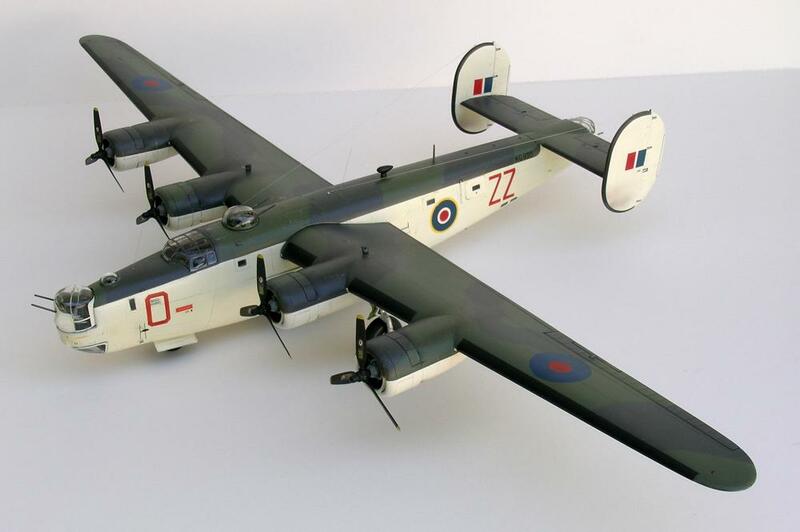 A couple of references used were “Canada’s Wings: Liberator & Fortress” by Carl Vincent, and the “Arco-Aircam book No. 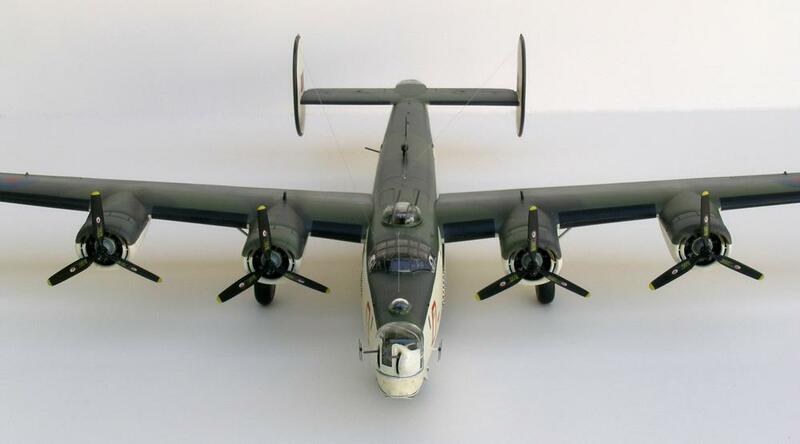 11, Consolidated B-24D-M Liberator” by Richard Ward and Ernest McDowell. 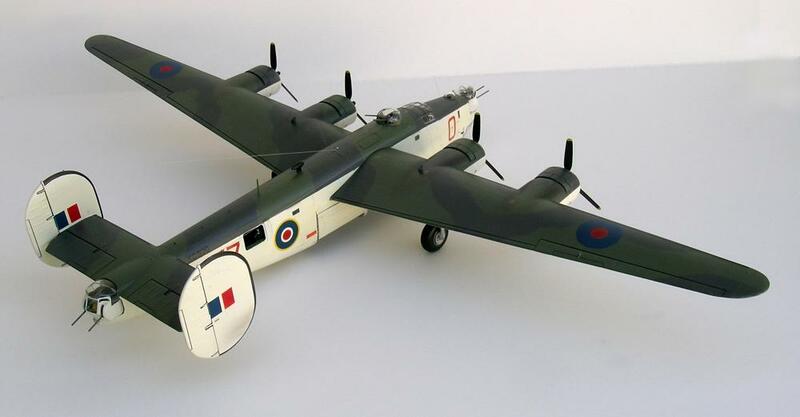 Anyway, I always thought this RAF Coastal Command color scheme a rather classy one, and I’m happy I did the Liberator. And happy also that I still have it! Always like to see a “Liberator” in any guise. Yours is very well done. A unique and well done example, Robert…..I’m glad it survived intact. 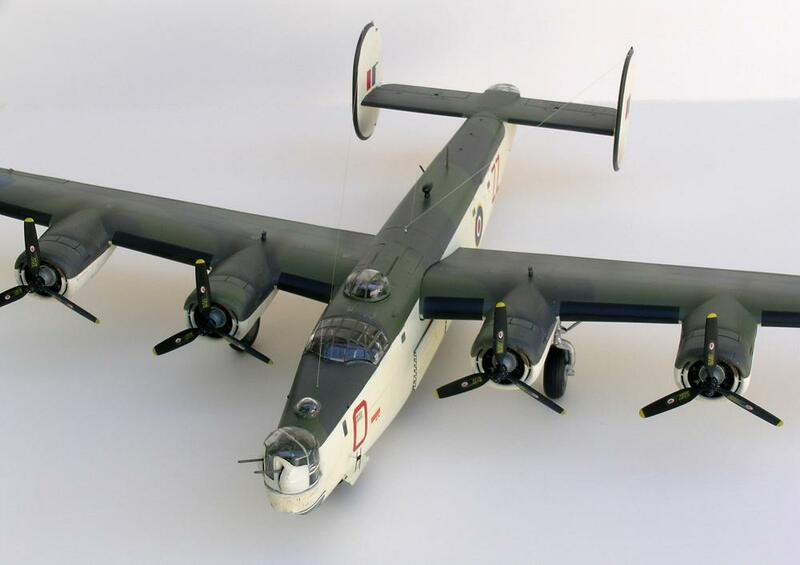 You’ve done a nice job of representing this Liberator and I trust you have it in a safe place….and Mark is correct, the photography is top-notch. Fantastic model, great photos and creative packaging, well done all around Robert. That’s a great model Robert & top photography too. 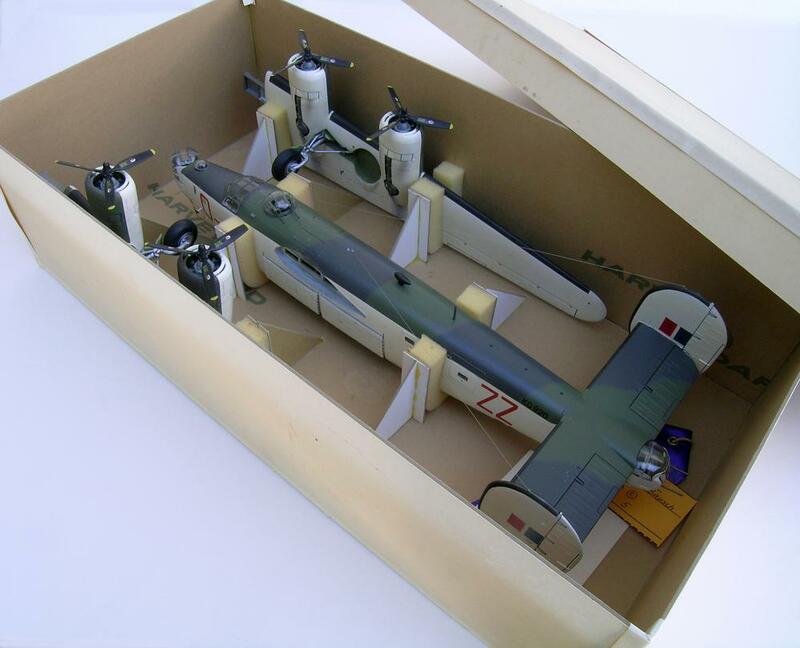 I wish I had thought of such a sensible way to store my models as yours certainly doesn’t show its age & goes a long way towards solving the space problem we all have. 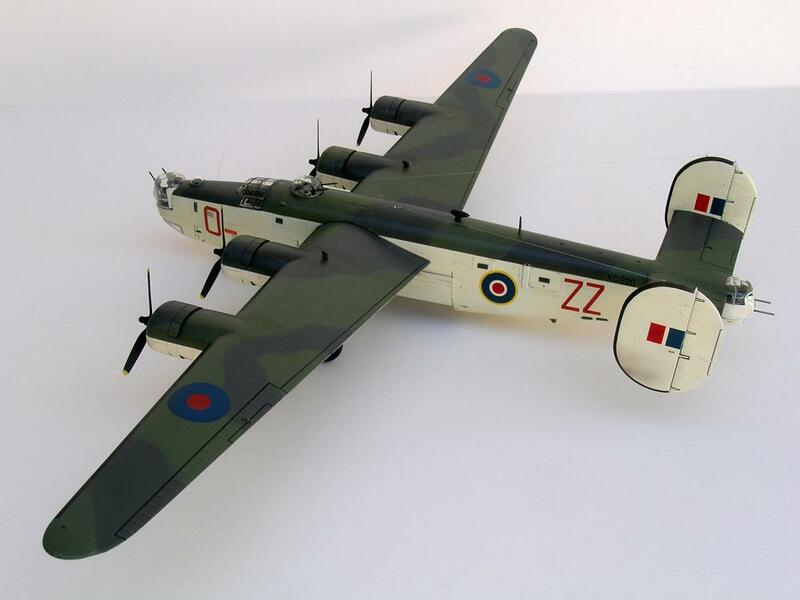 A guy in our club builds 1/72 exclusively, because of space restrictions, except for a 1/48 B-24, which he stores in exactly the same way. 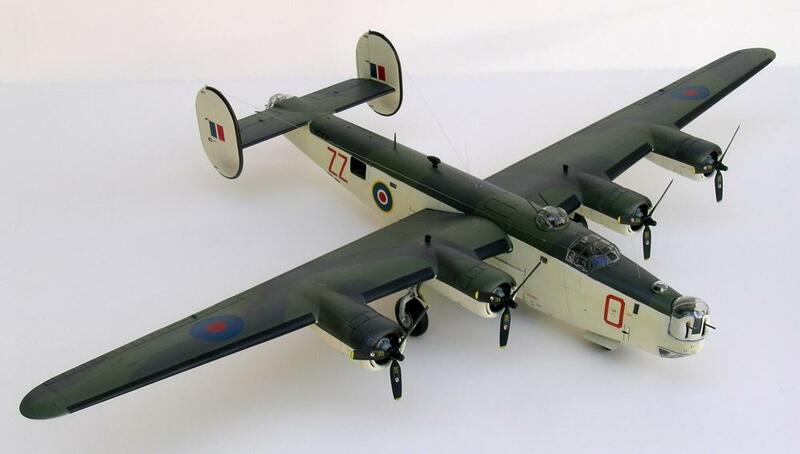 Rob, thanks for that bit of info about the fellow in your club doing the same thing with the box for the Liberator. It was nice to know I’m not the only crazy one! Stunning Robert! It’s hard to believe it’s six years older than me. It has certainly aged a lot better than I have! Exquisite Robert, one of the best I’ve ever seen. You moving/storage box is sharp too. 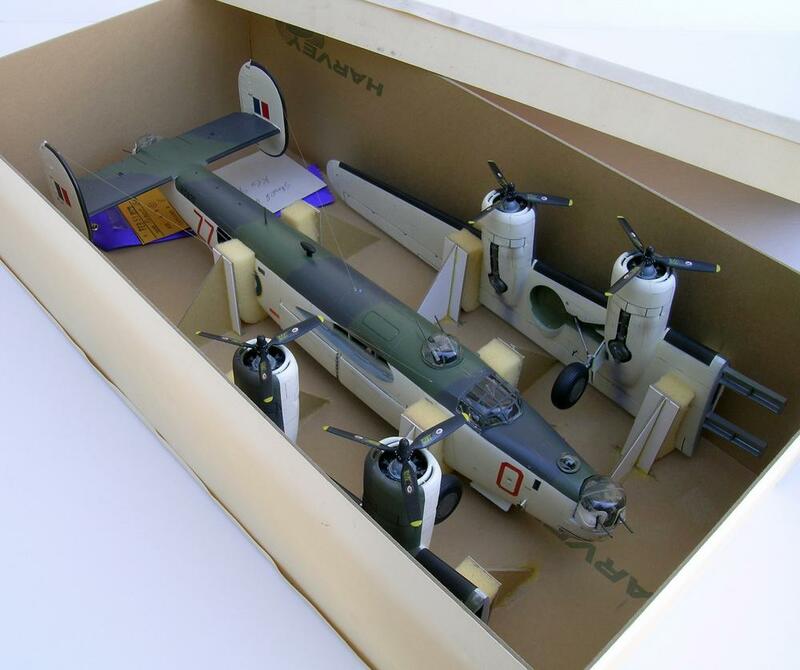 Great build Robert, I like the box you built for storing her in, some nice pics as well. A very well done sir. Nice clean build, your transport box is a gem, well thought out! To actually see this makes it even more impressive. I wish everyone else could see the real thing. A nice change from the drab USAAF colors or even NMF! I’ve seen these in the detail and scale book and have thought about it myself. It looks very impressive when done this way! It also seems to have held up very well over the years. Robert, Great job on the Costal Command scheme, it is truly unique. Your building skills are really evident here as that kit is for sure not a shake and bake build. Cool storage box too. Thanks to all of you for your nice comments. Much appreciated. Glad I was able to bring this one from out of the past intact, and show it to you. I think it might be another one that I hope I don’t have to do again, like the Saab Viggen with “splinter” camo! Beautiful finish with this so attractive colour scheme, Robert, and congratulations on storing it so carefully.